Well Bird Lovers, what a month we’ve had here in paradise. 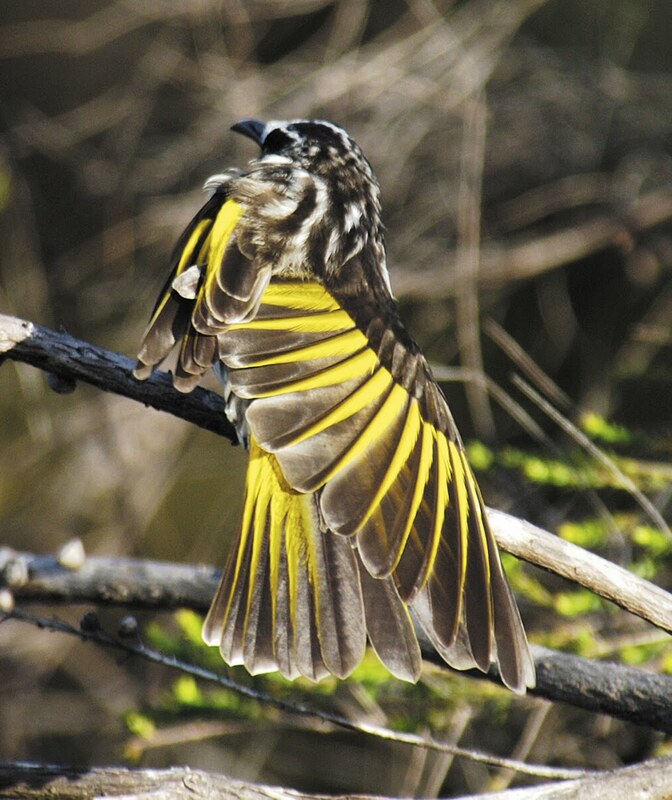 Kingfisher Bay Resort’s resident Honeyeaters were out in force with seven species sighted in March alone. White Cheeked Honeyeaters (pictured right), Blue-faced and White-throated Honeyeaters, Lewin’s Honeyeaters, and Brown and Dusky Honeyeaters were all spotted in and around the resort during our morning bird and Ranger-guided walks. However, it has been the Scarlet Honeyeaters that have been the highlight in March, with their beautiful melodic calls filling the morning air. These adorable little birds are a delightful addition to any bird walk - especially when their bright scarlet plumage is illuminated by the morning sun creating a stunning contrast amongst the green Eucalypt foliage. Fraser Island’s western beach has also been a twitcher's paradise this month with many species sighted. The Welcome Swallows were abundant as usual, and kept our guests captivated as they darted and performed aerobic manoeuvres above their heads in their eternal search for food. Crested and Caspian Terns also made appearances this month and majestic White Faced Herons were seen gliding over the coastline. John Knight and our mates from the Hervey Bay Bird Watchers club came and spent time at the resort and kept us abreast of their sightings – high on their list of top birds was a Spectacled Monarch, the Pheasant Coucal, the Sacred Kingfishers and an unconfirmed sighting of an Eastern Spinebill. A White Bellied Sea Eagle also spent time in our neck of the woods and a pair of Pied Oyster Catchers decided to take an Autumn break and spend some time on our shores - their striking black and white plumage and bright orange beaks a stand out against the turquoise waters. For those that follow our regular tweets and birdie blogs – we’re certainly clucking about one stand-out sighting this month… a Fan-tailed Cuckoo was spotted by an eagle-eyed twitcher amongst a stand of Swamp Mahogany down by the western beach. This beautiful creature flitted from tree to tree showing off its impressive tail complete with notched white feathers. April has a lot to live up too in the bird watching stakes and we’ll be there to record it. Hooroo… until next time from Ranger Kat.